The Fit Wife is injured again. Thanks to a pair of 5-inch heels. This weekend was very busy in the Fit household. Hubs has put blood, sweat and tears into prepping the boat he captains for sale at the Fort Lauderdale Boat Show, which was this weekend. So Hubs spent all weekend on the boat. But that’s okay, because I had a special guest come to visit! Originally both parents and my bestie were supposed to come down, but both ladies ended up sick. So it was "T and Pops Time" at the boat show. Even Hurricane Sandy cooperated and (mostly) left town before dad got here and she gave us a beautiful day of walking on Saturday. 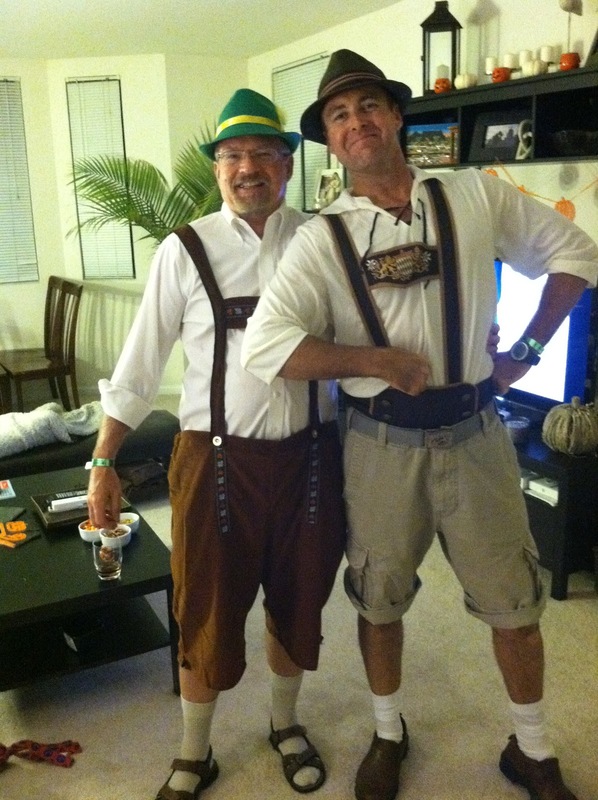 Dad and Hubs decked out! I thought it would be cheeky to go as Waldo lost in Oktoberfest. Never again. All night people would say, "I found you!" It got old. I think the combo of walking around for hours, then standing in heels for hours ailed my aching back (which I thought was on the mend). Luckily it didn’t ruin my weekend as Sunday was low-key, with both men at the boat show, I got some quiet time to study and rest. This weekend, I managed to get my dad to not only get acupuncture (which he said helped!) 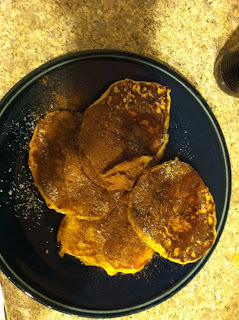 but to try my clean-eats Pumpkin Protein Pancakes! I have an obsession with everything fall, which except for the last two days, we don't get here in Florida. So expect a few more clean pumpkin/squash recipes before the holidays. Since tomorrow is Halloween, what better way to celebrate than with a good, protein-filled breakfast?! I usually let it sit for about five minutes, then I make it like I would a pancake. This usually makes four small pancakes, or two large ones. I usually top mine with sugar-free maple syrup, extra cinnamon, and a dash of Splenda. Here's the recipe. I actually added two egg whites and used club soda instead of Sprite Zero. 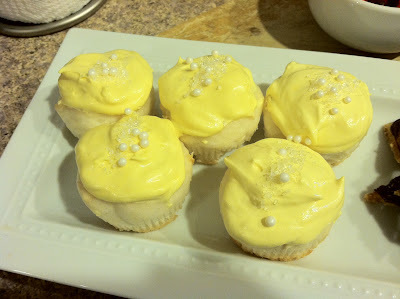 I think White Chocolate Jello pudding powder would have been better than the vanilla. Actually you could use any flavor of cake mix or pudding powder. Very good, very light and a nice treat without breaking the weight-bank too much.